Our Valentine Signature Assortment includes truffles, buttercreams, turtles, clusters and caramels. 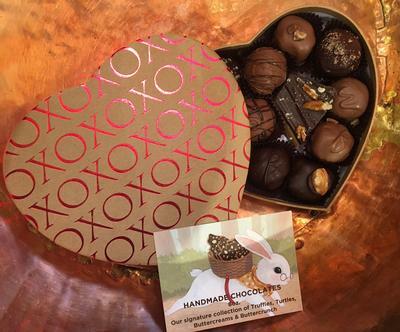 Packed in an elegant kraft XOXO heart box. Available in two sizes.